The Kennebec Valley Chamber of Commerce will honor the company as the 2017 Large Business of the Year at the Kenney Awards in January. AUGUSTA — With the structural steel in place, it’s not hard to imagine what the latest addition to the Performance Foodservice facility in Augusta will look like when it’s done. It’s harder to see what the facility was in 1975 when Greg Piper first started working there. That’s the year Kirschner Food Corporation moved from Water Street to a 12,000-square-foot building in north Augusta along the eastern bank of the Kennebec River. “I was employee No. 12,” said Piper, who is now the regional president of Performance Foodservice — NorthCenter. The company now employs 370 and its facilities — after five expansions — occupy 200,000 square feet. And its service territory, once just in parts of Maine, now covers all of Maine and New Hampshire and the north shore of Massachusetts. A longtime fixture in the Augusta business community, Performance Foodservice — NorthCenter has been named the Kennebec Valley Chamber of Commerce Large Business of the Year. It will be honored at the Jan. 27 Kenney Awards at the Augusta Civic Center. 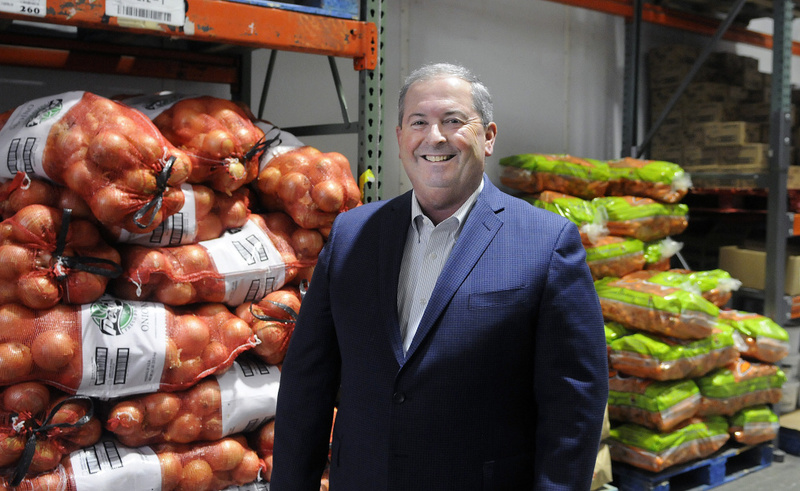 Keith Luke, Augusta’s deputy director of development services whose charge is economic development, said the company’s current $15 million, 50,000-square-foot freezer expansion project is large by Augusta standards and large by the standards of a food service company. When it’s done, it will be a facility like few, if any, in the region. “It speaks to the hard work that Greg Piper and Tim Holt do,” Luke said. Holt is senior vice president for operations for the company. 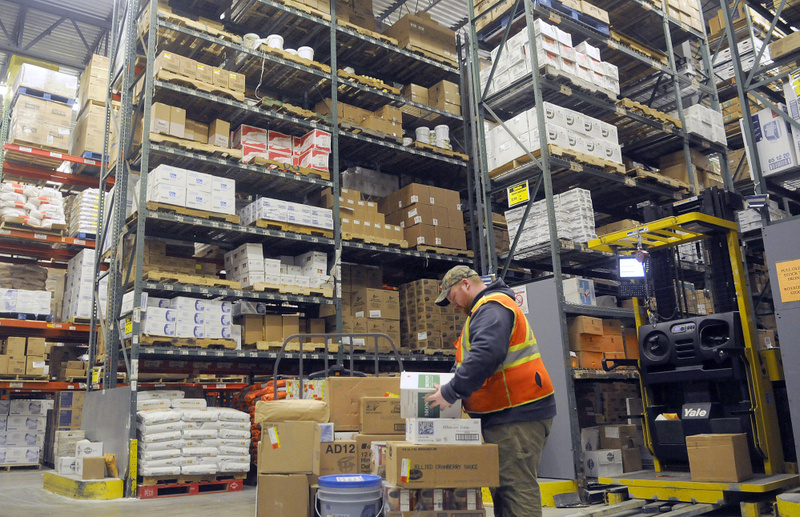 Performance Foodservice is the third largest food distributor by revenue in the country, following Sysco and U.S. Foods. As part of a larger, publicly traded company, the Augusta facility competes for resources, Luke said. “When they want to expand and improve their network, they need to relate to the corporate hierarchy that the investment is well-placed and they will be able to reap a return on the investment,” Luke said. Growth in the business can be traced to the trend of Americans eating out more and more in the last four decades, Piper said. In addition to restaurants, Performance Foodservice also serves school districts, colleges, universities, hospitals, senior living communities, correctional facilities and independent restaurants. Its array of products are bought from across the globe and across the region, including from local producers like Lakeside Orchards, Central Maine Meats and Isamax, the maker of Wicked Whoopies. The distribution network allows those companies to reach more customers, Piper said. The array of awards outside Piper’s office highlights the success the company has achieved, and he said it’s due to the company’s employees, who he credits with the company’s success for decades. More than 40 of the company’s employees have more than 20 years of experience. Piper celebrated 40 years with the company in November. He started out working in the warehouse, driving trucks, and from there moved into sales and eventually into management. With the expansion that’s slated to be completed in 2017, Piper said the company is likely to expand employment, but it will start out with the current workforce. Augusta city officials voted in June to approve a tax increment financing deal for the company that will return 100 percent of the taxes paid on the increased value of the property to Performance Foodservice in the first three years, 75 percent in years four and five, 50 percent in years six through eight, 40 percent in years nine through 12, and 30 percent in years 13 to 20. The total reimbursement to the company would be $594,000. The city’s share of revenue would total $1.19 million, and, like other TIF agreements, the agreement would provide funds for fire station construction and renovation and firefighting apparatus. Along with the long years of service to the company comes a tradition of community involvement in organizations that benefit the community, including the United Way, where it has been a Pacesetter company for a number of years, and children’s programs at the YMCA. Many employees serve on boards of local organizations and contribute in other ways. One of the company’s big charities is feeding the hungry, and the company has donated both money and food to soup kitchens and the Good Shepherd Food Bank and has donated to a number of causes, supplying that basic need of food whenever it can.